How do you build confidence in your kids with food allergies? Are there ways you can be intentional about building confidence and self-sufficiency? This is a question allergy parents ask me a lot, and the answer is “yes,” you can definitely be intentional in your parenting to raise confident allergy kids who can advocate and manage their allergy when you are not around. 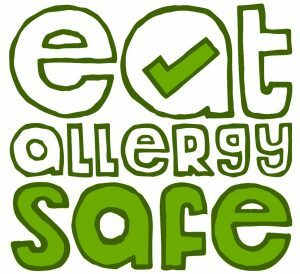 You want your child to have the best in life, and when they have a food allergy that means they will have to learn to manage it confidently. But how? When I am working with allergy parents in coaching sessions this is a question that comes up a lot (listen to a coaching session here). They don’t want their child’s allergy to impact their live negatively but obviously can’t keep their child in a bubble their entire life. The answer I say is down to how you prepare them early in their life and primarily with how they think and approach their allergy management. Below I am talking about 4 of the most important things you can do to build confidence in your food allergy kid so when they grown up they are equipped to manage their allergy safely and not let it negatively impact their life. Teach your child to own their food allergy and never feel sorry that they have one. Allergies are a fact of our lives and for those with anaphylaxis it is unlikely that they will ever grow out of it. When I was young my parents took this approach with me, the aim was that teach me to own my allergy in all areas of my life so that I was safe when my parents were not around. The fact that my parents never felt bad for me but took a practical approach to my allergy management meant that I didn’t grow up feeling sorry for myself. I was taught to see the problem and then work out a solution to the problem. It was, and still is in my life because I still have my allergy, to not think I’m missing out but to figure out how I can do things differently. Don’t hide your child’s food allergy or how severe it is. Honesty is usually the best policy and I am sure when it comes to allergies that this is the way. My Mum calls it her Sleeping Beauty Theory: when the king finds out that sleeping beauty would die if his daughter pricked her finger on a spinning wheel, he made sure all the spinning wheels were removed from the kingdom. So Sleeping Beauty had never seen a spinning wheel before when the evil fairy turned up at the castle with. If Sleeping Beauty had known what a spinning wheel was and she would have known how important it was to avoid it and so not pricked her finger. It’s not about scaring your child, it’s about making them aware of what will make them sick so that they will take ownership and responsibility for their well being. Make your child practice advocating for themselves. We all know to be good at something we have to practice and it is exactly the same when it comes to building confidence. So when you are looking to build confidence in your food allergy kid to advocate and manage their allergy you need to encourage them to ask the questions, help you read labels and tell people about their allergy. From my own experience of growing up with food allergies, my parents would remind me before we went to restaurant and ask whether I wanted to tell the waiter about my nut allergy (they had usually called ahead and checked before we got there, but I didn’t know at the time). Then when it came time they would guide and prompt me through the process. Each time I told a waiter the easier it got and the older I got the more confident I felt. The same came to telling my school friends, they all knew about my allergy and it never bothered any of them one bit. Every part of living my parents got my brother and I involved in so that we would learn, from the simplest thing of going food shopping and checking labels all the way to telling parents and teachers about my allergy. Make sure your food allergy kid knows they can say “no” to food they are unsure of and that you will support them in their decision no matter what. This is one of the most important factors of building your child’s confidence and it is only when I was an adult reflecting on my experiences that I realised how much of an affect it had on my confidence. I remember my Dad saying many times growing up, especially when I was little, that “if you don’t think somethings safe, if you’re not happy about any food, you don’t eat it. EVEN if an adult is telling you its ok. You can say “no.” Don’t worry about getting in trouble because you won’t. We will deal with it.” I was a good child as well, one of those who always followed the rules, listened to adults and teachers, so defying an adult with the possibility to get in trouble was not a nice thought for me. But because I knew that I had my parents absolute support, that they trusted my decision even if they weren’t there empowered me as a little person to advocate for myself, and if that meant disagreeing with an adult, well then so be it. I could be or pretend to be confident in myself because I knew my parents trusted and believed in me. I continue with my Allergy Awareness Week series tomorrow talking all about how to travel with allergies when you get thrown into the unexpected. If you have any questions on this post and would like to know more, book in a complimentary 15 minute consultation with me and get a tasted of allergy coaching. I am here to help and want you to empower you food allergy kid to be able to travel, have their dream career and explore this wonderful world! Send me an email today. Are you boycotting the Peter Rabbit Movie? To Boycott or Not to Boycott Peter Rabbit? We all remember that cheeky little rabbit in a blue coat. We had the whole collection which we read when I was growing up. The mischievous antics of the young Peter Rabbit. This new movie adaptation of the Beatrix Potter classic, however, has the world in uproar. On the movie review website Rotten Tomatoes, usually a good reference of actual peoples views I find, has given it only 51%. Rather than the rascal rabbit we know and love, critics say in this movie, he is being portrayed as a violent and psychopathic jerk. Could this be true? Well I’m not sure, I haven’t seen the movie yet. But this is only part of the controversy. Well, it comes down to allergies. One of the scenes in the movie showPeter Rabbit deliberately throwing blackberries at McGregor with the knowledge that he is severely allergic to them. The next scene is said to be of McGregor stabbing himself in the leg with his epinephrine. The uproar has come over the lack of remorse and lessons learned by the young rabbit and so many believe it shows this type of bullying to be ok.
Allergy awareness and campaign groups in the states have called for a boycott of the movie in protest. The question now is, do we still go? Or do we boycott? The movie company has issued an apology for their lack of sensitivity to this topic, but it doesn’t seem to have appeased the many allergy parents out there. Last night I posted a link and short message on the Eat Allergy Safe facebook page and the comments were torn. One side included those who were completely against going to the movie and those who would wait and see to pass judgement but would prepare their allergic children for what they might see. I fall into the second bracket. I’m going to wait and see. We all know the news like to sensationalise stuff, but I prefer not to be sensationalised. I want to watch it and make up my own mind. After the bad reviews, unrelated to allergies as well, it might just come down to a badly written movie all round. As this scene has caused concern, I wanted to offer a few things to think about if you’re still deciding whether to see the movie. Or if you’ve seen it and now upset by it. I find that it’s all about how can we use a situation to our advantage and promote allergy awareness. First up, when do we ever get allergies so front and centre in the news?! I have fellow allergy bloggers who are working overtime to use this opportunity to present the allergy community on national television and radio channels to give the facts of having and living with a life threatening allergy. That is a win! Second, the movie is depicting what is unfortunately actually happening in some classrooms. It is unfortunate that Peter Rabbit is depicted as the bully, but it does throw a light on the fact that allergy bullying is happening, and it is not funny. Deliberately forcing an allergen in as person is like going at someone with a knife. Having this in a movie that is going to be seen globally opens up the chance to talk about this issue and start changing it! But we have to know what we are up against and then take the emotion out of how we respond so that we can actually get people to listen. Third, the world is not an allergen free place. It never will be. As much as people petition to ban this that and the other from anywhere and everywhere. It doesn’t solve the problem. Ignorant people will continue to be ignorant people until they agree to be educated. It is our job as allergy sufferers to own our allergy and SHOW the world how we live safely, carefully and happily. Our allergy is our responsibility so we need to act like it. If you are an allergy parent and reading this, I urge you to use these types of opportunities to teach your children how to start facing and conquering their allergy challenges rather than hiding them. Your children might be young but these challenges will be the same their whole life, they don’t change. Your child’s friends will also ask about the film to their allergic friend, so better to prepare them to answer the questions confidently. Why not get their friends involved in the allergy education. The Peter Rabbit movie has just been released in the USA and we in the UK have to wait until March to find out what the actually is going on. For me, I will be going to see the movie and make up my own mind, and the above post lays out my mindset before I’m going in. I want to make a silver-lining and I am going to watch it with an open mind. I don’t know what I’ll find until I watch it. If you’re still deciding whether to boycott the movie or not, just remember it is your decision. Make the decision you feel is right for you and don’t let yourself be pressured by anyone to watch or not watch the movie. It’s your money and time so use it how you like. If you have questions or comments, I’d love for you to join the discussion. What are your thoughts on the Peter Rabbit movie and depiction allergy bullying in the media? Leave a comment below with your thoughts.